KYPipe has been developing pipe network analysis software for over 40 years. Their software products have become the industry standard for civil engineers, both nationally and internationally. KYPipe has representatives and distributors in the USA as well as India, China, Korea, the Middle East, Egypt, South America, Taiwan, Indonesia, Australia, New Zealand, Russia, Uzbekistan, Kazakhstan, and Europe. The Arion Group helped KYPipe create their first complete product brochure in 2013 to use at local trade shows. 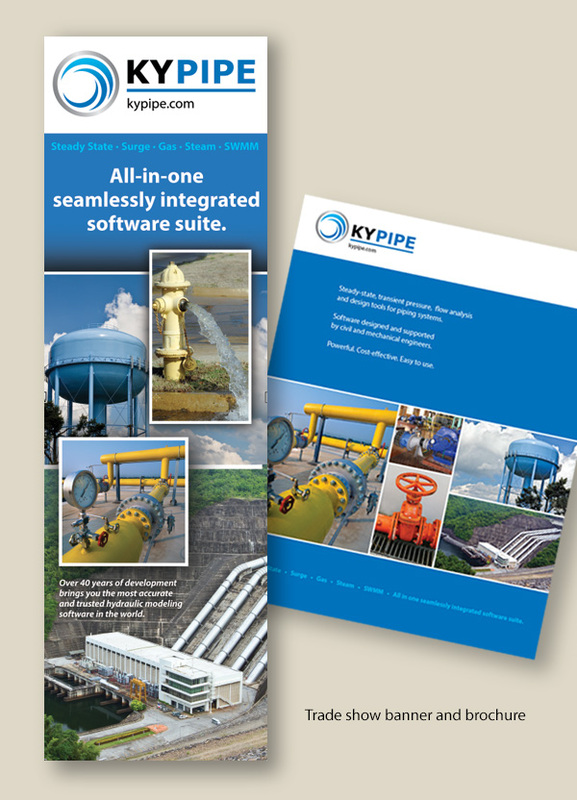 In 2014, KYPipe requested a banner design that complemented their brochure and reinforced their brand. 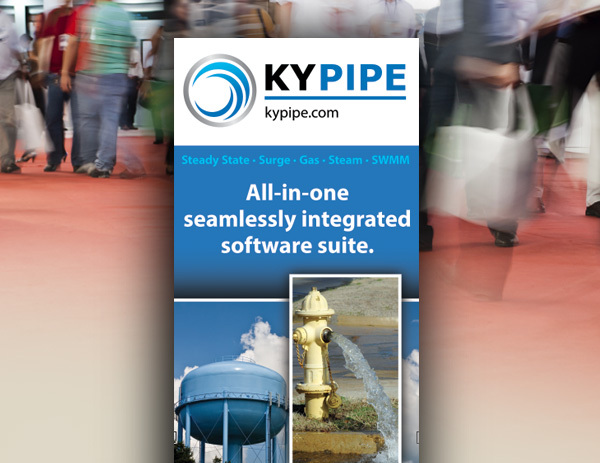 The KYPipe logo and web address appear at the top of the banner along with a headline that summarizes the seamless integration of their software products. The new banner has been successful in drawing potential customers into their trade show booths. The KYPipe brochure is a useful tool for discussing product features with visitors, and for cross-marketing their additional software programs. Does your company need help creating a new banner for trade shows? Do you need comprehensive product brochures to share with potential customers? Contact the Arion Group to get started today.